Small business owners are some of the most resourceful and dedicated people on the planet. They understand that their website is more than just a digital business card…but because they’re also some of the busiest people on the planet…they don’t always have the time and energy to devote to maximizing the digital asset they have. Here are 7 Actionable SEO Tips to get you started. Walk before you run. SEO is a marathon, not a sprint. If you’re a small business owner…and you’re new to SEO, that’s probably the best advice I could give. Search engine optimization is a long-term play that WILL make an impact on your business. How large of an impact depends on the amount of work that’s done. And the quality of that work. So, let me give you some simple SEO Tips that you can do to boost your SEO – or your search engine rankings. If you are thorough and consistent…good things will happen. Here are 7 manageable and actionable SEO Tips that most small business owners can do. Here’s the truth about SEO – NOBODY has a degree in SEO. Every single internet marketer out there…is self-taught. So, you can be, too. You don’t need to be a high-end Web developer or have years of experience in marketing. But you will want to learn more about SEO as you go…because SEO “best practices” can change at the drop of a hat. So here we go…these tips are the basics of SEO and will get you moving in the right direction. Content is king. Not only that…but content is also the queen, knight, bishop, and rook! In fact, it’s literally the name of the game. Think about it. Google’s search engine scours the entire internet day and night…and what is it reading? It’s reading words. Text. Content. It’s trying to understand what value each website brings to its users. And how does it know?? It reads the pages beforehand and then serves up (in order), it’s best guess as to which websites will provide the most relevant information. So…you want to be there when someone searches for a Dentist in Fairfax, VA? Then you had better have good, quality content on your website that Google can interpret as the authority on dentistry in Fairfax, VA.
Google’s algorithm is programmed to favor websites with unique, relevant content that’s highly useful to visitors. Blogs are the perfect way to do that. Do you ever visit a website for…say…a construction company and wonder why they even have a blog? Who would even read that? Well…now you know. GOOGLE reads it! So, starting a blog is the perfect way to get good, authoritative content on your website. So, what should you write about? Just write about new products, trends in your industry, or just talk to your customers and give them advice. Then next step to this then…is to share everything across your social media platforms. It’s a good way to stay in front of your customers and it helps provide good backlinks and positive social media signals — both of which are really important to your website’s SEO. Google also loves websites that get updated with fresh, new content regularly. So, there you go! You’re on your way! This is a must! You need to create a “Google My Business” profile that will increase your chances of being shown in the local “maps” section of Google search results. If you have a brick-and-mortar store…with walk-in customers, then it’s an even bigger deal. Everyone is using their iPhones these days to find nearby places to eat, shop and get stuff done. This is sometimes the quickest way to get a presence on Page 1. Sometimes you may already have a profile on there…you just need to “claim it.” You can get a nice boost in new business from the few minutes needed to start a Google Business profile. All SEO professionals will tell you that building a network of backlinks (these are links back to your site…from other sites) can help rank your website higher. It signals Google that your website is an authority in a particular field. When other people are talking about you…that’s a good thing. These can be people linking to your homepage…your blog posts…or any internal page on your site. All links back to your website help increase your website’s power. NOW…here is where a lot of SEO “professionals” (in quotes) can get you in trouble. Remember when I said that SEO “will” make an impact on your business? Well, there is a big downside to working with the WRONG SEO. There are so-called “black-hat” SEO’s out there who will take risks with your business…and you won’t even know it. They go out and purchase links back to your website from questionable sources in order to artificially boost your rankings. This tactic is considered shady and increasingly, Google is punishing businesses that employ this tactic. There are ways to recover from this…but it takes time and money. SO PLEASE…if you’re going to ask for help from an SEO professional…make sure it’s a reputable agency…or someone with a track-record for long-term sustained growth. Finally, I would just say this…make sure you’re also building business profiles on sites such as Yelp, Bing Local, and Foursquare. Build a company page on LinkedIn, and create a YouTube channel if you can offer informative or instructional videos, etc. Be everywhere. But this is important! As you create your business profiles on different sites, remember to list your business information exactly as it’s listed in Google My Business. Doing so will boost your SEO efforts. But be EXACT! Of all the SEO Tips here, this may be the toughest for all you non-geeks. Just like in a newspaper, the Headlines (or titles) help readers determine what a story is about. In Google’s world, they help determine which search terms are relevant for the different pages of your website. For example, if you owned a pet shop, then the organic dog food page should have the term “Organic Dog Food” in the page Title and a variation of that phrase in the <h1> header. The <h1> header is the largest headline on the page. The sub-headings are then obviously <h2>, <h3>, etc. The page Title is not visible on the actual page…however it is visible in the “tab” at the top of your browser. And it is also the title of the Search Result that Google produces when your website comes up. You need to view the source code to review your page Titles. If you’re familiar with WordPress (or whatever website platform you built your site on), you’ll be able to change them quickly and easily. There are many plugins to help with this. Just like the page Title, the meta description is also not visible on the actual webpage, but this is the site description that appears below the title in Google search result. I like to think of the Title and Meta Description as an advertisement in Google’s search results. Each page should have its own unique Title and Meta Description. Talk to your customers and make sure they are giving you good reviews online. Websites like Yelp, Facebook, and even Google offer customers the ability to comment on their experiences with your business. These reviews are very helpful to your SEO especially when they’re positive. Good Reviews Help SEO Rankings. Businesses with lots of reviews – especially positive reviews – do well in the rankings. Remember, Google wants to put the best businesses on top! Also, don’t forget about some of the other sites that are out there. Make profiles on all that apply to your business. Websites like Angie’s List, Yelp, Houzz, and TripAdvisor are three of the most popular. Remember to make sure your name, address, and phone number (aka your NAP) on these sites match exactly with your Google My Business profile. Google’s algorithm is smart. It knows that if you are an HVAC company in Alexandria, VA…people in Dallas, TX aren’t going to find your business all that helpful. So, there are different rankings/results in different areas. You need to make sure that someone searching for your business in Alexandria, Arlington, or even Washington, DC can find you on Page 1. Mentioning your city and state often enough signals to Google that your company is the authority in that area. Be careful not to overdo it…be natural…but make sure you’re putting this information in all the right places – your meta descriptions, headlines, titles, and throughout your content. If you have a blog — and as we discussed, you SHOULD have a blog — then you should be writing locally relevant articles about your business. These local mentions will signal Google that you are a local business that should be ranked higher in local search results. This is becoming increasingly important. Google is starting to penalize websites that are not optimized for mobile devices. Recent estimates state that more people are now searching Google on their phones & tablets than on a laptop or PC. If your website isn’t optimized for mobile devices (or “responsive“), then your ranking is likely to take a hit. Remember that Google’s algorithm is tuned to connect people with sites that offer good user experiences. A site that’s not optimized for mobile won’t display text and photos correctly and may not even function as intended. A good way to test your site is to reduce the size of your browser. As you make it smaller and smaller, the formatting of your text and photos should respond accordingly. If part of your site is not “off-screen” then you have an issue. WordPress and other publishing tools offer loads of (often free) website templates that are ready for mobile use. So, if you use this kind of platform you should be ok. However, you may need to enlist the help of a Web developer if you need to convert your site to mobile-friendly. While this could be expensive, it’s well worth the cost. Otherwise, you risk losing more than half of your potential online customers. So, SEO isn’t as scary as you may have thought. It’s not a whole lot of coding and technical tricks. Sometimes it’s the smallest details that can make the difference between being lost on page 3 and being found on page 1. As I said before, this is a marathon, not a sprint. Anyone telling you they can rank you quickly is trying to make a buck. They will use tricks and schemes that will hurt you eventually. They will not treat your brand as their own and they will quickly disappear when things go south. So, if you decide to take this on yourself, use these SEO Tips, be patient and don’t get overwhelmed. If you decide to hire someone to help you, make sure you meet them face-to-face if possible, and make sure they are credible. Either way, you now know the basics. Keep learning. All the work that you do will eventually pay off and you’ll start to see real results. And the best part of this is…the work you do today will pay off for months or even years to come. If you want someone to review your website and tell you exactly where the opportunities lie, we’re glad to help. 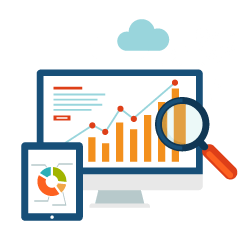 We offer a one-time FREE SEO AUDIT to all businesses looking for specific and actionable advice. There is no obligation and we don’t hold back!